New Delhi: In his prime, former India skipper MS Dhoni was known to be one of the best finishers in the business when it came to chasing down targets. But on Sunday, he showed that he lacks that ability anymore as he travels the home stretch of his international career. He might dream of representing India in the 2019 World Cup, but he definitely needs to prove his worth if he wishes to fulfil his dream. Chasing a target of 190, India started off poorly with Shikhar Dhawan (5) and Virat Kohli (3) failing to fire, but all seemed good till Dhoni decided to score a 114-ball 54 to completely catch his teammates off-guard. Dhoni is known to take some time to get going these days. But to fail to hit the fifth gear even after playing 100 deliveries in an ODI is an offence to say the least. In fact, Dhoni toppled former India skipper Sourav Ganguly as the batsman to play maximum deliveries to score a fifty in ODIs since 2001. Ganguly held the record as he scored a fifty off 105 balls against Sri Lanka in 2005. 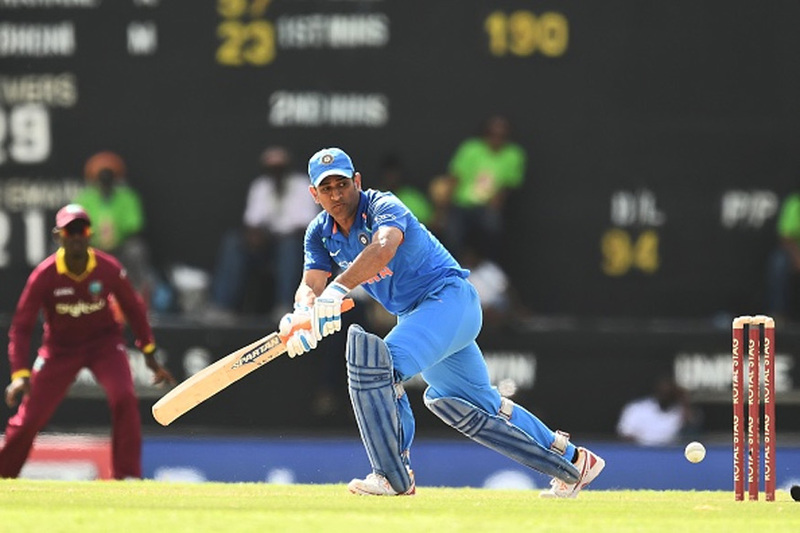 But now, Dhoni leads the list having consumed 108 balls for his fifty on Sunday in Antigua. Ganguly holds the third place in the list with a 104-ball 50 against Bangladesh in 2007. Coming into the must-win match, West Indies elected to bat and were off to a steady start but lacked character for a flourishing finish against the visitors. India lost in-form Dhawan (5), Kohli (3) and Dinesh Karthik (2) cheaply after restricting West Indies to a modest 189 for nine. But Ajinkya Rahane and MS Dhoni then came together and stitched a 54-run partnership together. It was a rather slow partnership, and took them 18.1 overs to make 54-runs. Dhoni played a rather slow innings, making 54 off 114 balls. He was dismissed on the last ball off the 49th over, with Williams accounting for MSD. India never really got going, and seemed to be behind the chase. But it never looked as if they were out of the game, with Dhoni almost staying till the end. But sadly, Dhoni failed to provide the firepower needed to finish it off in style.